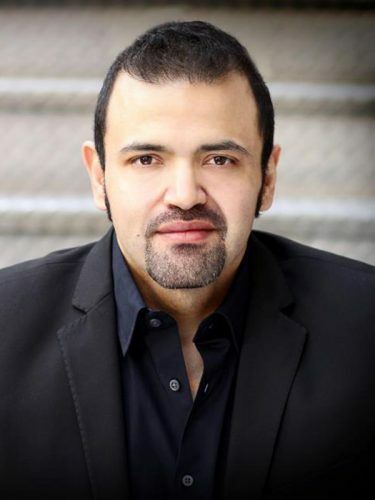 A native Texan, tenor Hugo Vera, General and Artistic Director, is described as possessing a “truly heroic voice” that is both “beautiful and brilliant.” Increasingly in demand and a recent addition to The Metropolitan Opera artist roster, Mr. Vera has performed 40 roles and 30 choral orchestral works with distinguished companies in the US as part of his musical and artistic development of the full lyric and spinto tenor repertoire. In addition to The Metropolitan Opera, Mr. Vera has sung with Spoleto, USA, Kansas City Symphony, New York City Opera, Illinois Symphony and Chorus, Fort St. Symphony and Chorus, Opera Memphis, Aspen Music Festival, Brevard Music Center, Sarasota Opera, the Lyric Opera of Kansas City, Glimmerglass Opera, Opera North, Aspen Opera Theatre, The Minnesota Opera, Chautauqua Opera, Nashville Opera, Glow Lyric Theatre, Shreveport Opera, and Tanglewood Music Festival. Mr. Vera enjoyed the privilege of training with several noteworthy young artist programs including the Brevard Music Center, the Tanglewood Music Festival, Aspen Music Center, Chautauqua Opera, The Lyric Opera of Kansas City, The Minnesota Opera, and Glimmerglass Opera. He received a Bachelor of Music from the University of Utah in Salt Lake City and earned a Master of Music and Doctorate of Musical Arts – both with Honors – from the University of Kansas. He is Assistant Professor of Voice at the University of Arizona, and maintains a private voice studio in New York City.